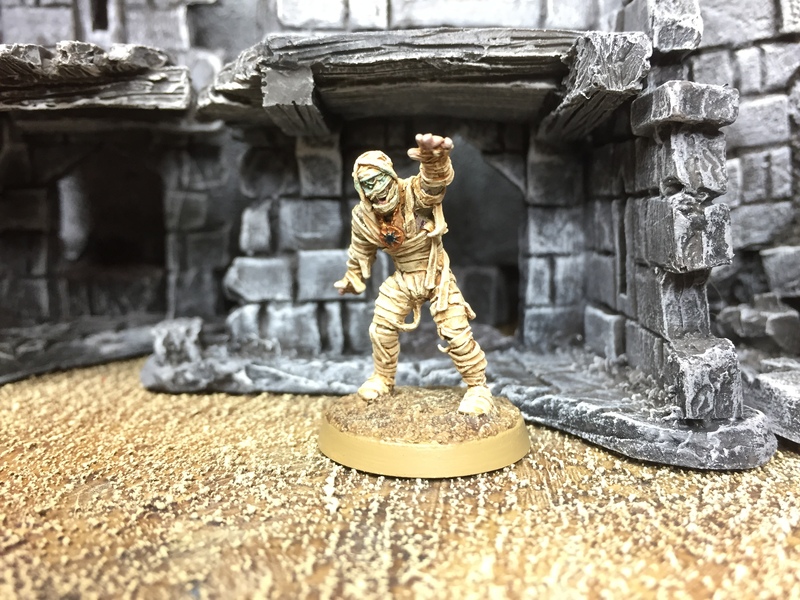 Not much else to say about these really – the Mummy is from Northstar, and I can’t remember where the werewolf came from, but they are both pretty cool and were fun to paint. 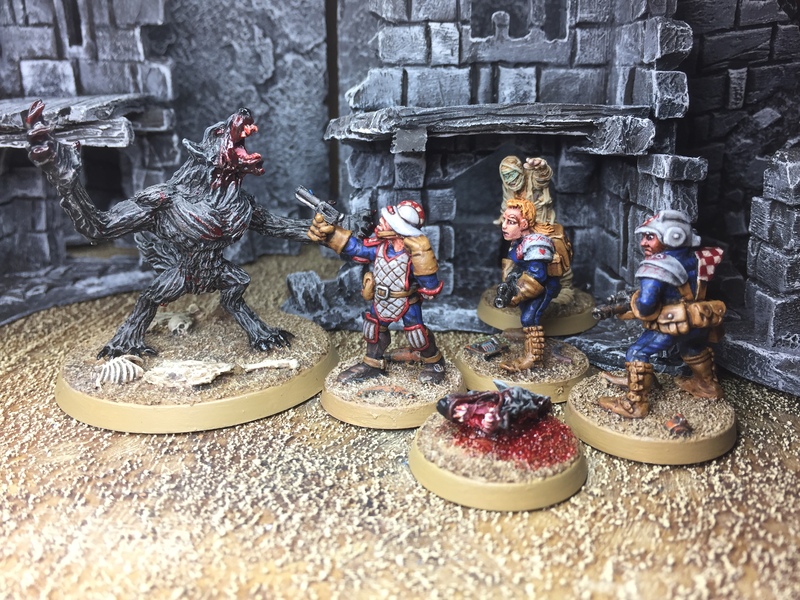 I’ll be using them in a pulp/Frostgrave crossover game with the kids over the hols – my youngest just loves werewolves, so this should be good fun. Brilliant mate. I am working on a werewolf as we speak. I’ve never liked Mummy’s but I love the paint work on this fella. The gem works really well. I’ve been meaning to ask, where do yo get your terrain from. In particular the stone walls etc. Do you make them yourself? They look fantastic. Haha what a coincidence I’m just on North Star now looking at Adrians wall haha. Nice to get some rapid turnover like that Alex. I think that the werewolf also came from Northstar. 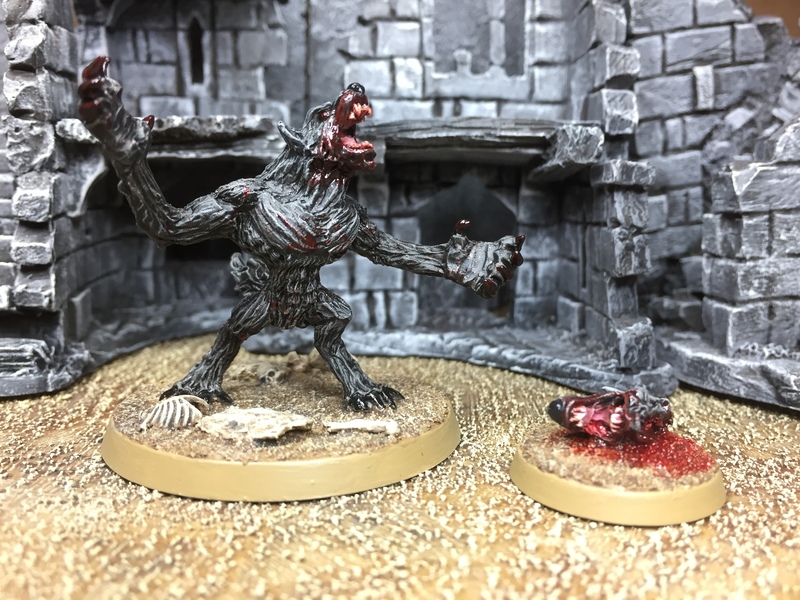 The werewolf head generates a bounty on Frostgrave I think, which is why it had that fun accessory. Ah! That makes sense :-) Cheers mate! Nice work as always. Is Frostgrave a good buy? I’ve been eyeing it for some time but can’t make up my mind on buying it or not. It is really cheap on iBooks. Rogue Stars sound even more awesome. These guys look great – I really like that Mummy especially. Shame Northstar’s postal methods date from the early 1990’s, but if I see it elsewhere I may well snap him up.